All-Temp Refrigeration & A/C is dedicated to bringing you the best possible solution for all your HVAC-R requirements. 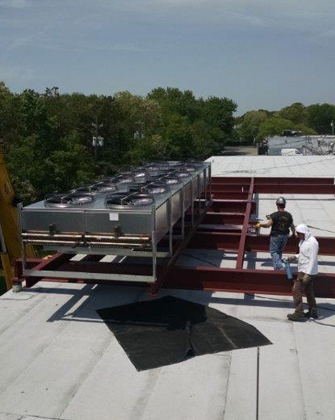 We work with you from the ground up to prepare a customized, economical system. Expect it to function properly for many years with appropriate maintenance. Call us for any type of heating, ventilating, air conditioning, or refrigeration system or service. Let us give you some new ideas and explore new ways to improve your energy efficiency. We can help run your store on six compressors instead of twenty and minimize power surges that cost you money. We can supply you with new, brand-name equipment, or we can save you money with suitable, reliable, and refurbished equipment. Give us a call to discuss your requirements, and we'll outline your options. Count on us for unbeatable pricing.